When old – you just sit. When you’re old you just sit. Has your life become – just sitting? 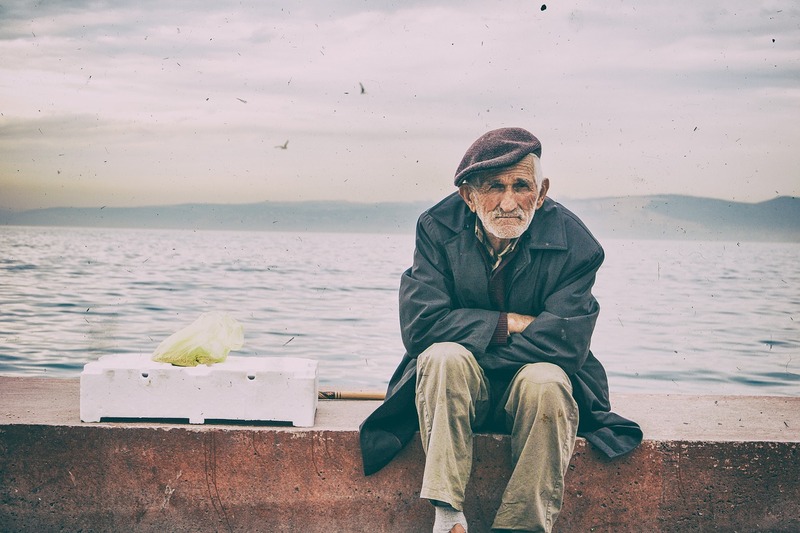 Recently I have been talking with and hearing from an increasing number of “older people.” In the past, I have steadfastly avoided learning about the elderly in the belief that I did not know any of them. This belief, that neither I nor anyone I know is yet in that elderly class is constantly getting challenged by people who ask “How old are you?” with an incredulous look. Those annoying people who sell medical insurance continue to force this topic on me by sending me advertisements asking me to switch my old age insurance to their company. Worse yet they have been sending those notices to me for some years now. One of my life goals has become to outlive some of these annoying insurance companies. My thinking, at this junction, is that being old is a combination of the effects of the physical process of aging and the mental attitude one takes towards this process. Self-care along the way is certainly a factor. Unfortunately, I learned that life lesson later rather than earlier. While my body may be accumulating aches and pains, defects of the body, I continue to work on keeping my mental faculties working. I read somewhere that when you get old you just sit. This was reported in an article about a woman who had passed her hundredth birthday. Is this a good thing or a bad thing? I can see that it might be nice to be relaxed and no longer stressed running hither and yon. But then it might also be that once you stop moving, at least mentally, your life loses purpose. I have forgotten who that woman was or what age milestone she had just passed. This is a shame because I have a long-held belief that once you start school you have to stop counting half-years as in four-and-a-half and you do not get to begin counting those half years again until you pass that hundred mark. Anyone who lives past one hundred years ought to be recognized more than once per year. You are all invited to my one-hundred-and-a-half birthday celebration. My fervent hope is that I will be able to attend it with you and will be lucid enough to realize what this gathering is for. It has become apparent to me however that a lot of people entering those golden years have neither gold nor years. In fact, one great loss among the elderly is a loss of purpose. What do you do when you can’t go to school or work? Young people are rushing to enter their disabled-years. It is fully understandable that as we age we can accumulate injuries and disorders. As life moves on some people find it hard to get up and move around. For them, life’s high point may well be waking up and being able to watch some video entertainment. What surprises me is the number of very young people who are resigned to sitting worshiping a talking box or a moving wall image. Have you all not heard the more time you spend seated the sooner that chair may become attached to your anatomy? Despite all the encouragement to get up, out and exercise, more and more people past the age of 5 seem most motivated to sit as much as possible. Has exercise become a spectator sport? Lots of people drive in their cars (seated) to a sporting event where they can watch (seated) athletes perform. This is sometimes called “playing” a game. Though most sporting events past preschool take on all the playfulness of gladiator bouts. An oft-heard life plan is to work hard enough to make enough money to be able to sit around and do nothing. Once you retire from the active world of work, it would appear that you have to join a gym, take up golf or otherwise pay others to allow you to exercise. Why are there so few hero action figures of old people? There was a time when old people figured prominently in our culture. Think of father time and the Greek god Zeus. Now that I think of it the Christian deity, when he gets any consideration at all is depicted as an elderly man. It will soon be Christmas. Santa Clause used to be a prominent personality at this time of year. The last few years Saint Nick, and his propensity for generosity has been losing ground to Ghosts, vampires, turkeys, the babies of the New Year and cupid. Getting the latest entertainment device has supplanted giving the gift of happiness in our common lives. My suspicion is that one reason for our cultural shift from old people and wisdom to preschool heroes is that giving required getting up and doing, while receiving can be done passively in a seated position. If, at this time of year you find yourself “just sitting”, my hope for you is that this is a reward for a lot of lifetime doing, not the beginning of your resignation to spending the rest of your life in the not doing, seated position. One disease has resulted in an 11 fold increase in accidental deaths among seniors. When we think of the illnesses plaguing seniors we tend to think of heart disease, cancer, and diabetes, diseases that have long been associated with the process of growing old. As the population of the elderly, and almost-elderly, has risen, one disease has taken off in unprecedented numbers. Drug use and abuse among seniors are out of control. Past generations left drug use and abuse to the young people. As people age across the lifespan, they tended to give up bad habits and settle down to more responsible lives. The current generation of aged has pioneered a new trend in this as in so many other areas. Seniors are abusing more drugs and dying as a result of that abuse at alarming rates. This is a trend that is not likely to abate any time soon. Seniors deaths from accidental drug overdoses are rising rapidly. Government statistics report large and rising rates of drug use among seniors. The “baby boomer” – “old hippy” age group has held onto their drugs of choice while adding to the drugs they use. Large studies take time to complete but the more seniors enter the statistics the more startling the trend becomes. Some of these drug-related deaths are obvious, some are more hidden. Being an almost-senior puts you at risk also. CDC reported recently that 12,000 baby boomers in the age range 45 to 64 died in one year (2013) from accidental drug overdoses. That is more than the total number of deaths from car accidents, influenza and pneumonia combined. Seniors have held onto their drug of choice longer than past generations. Many baby boomers have held onto their drug of choice as they have aged. Up to 50% of all hospital emergency room admissions of senior citizens is the result of an overdose of drugs and or alcohol. In the year 2015 seniors age 60 to 65 are three times more likely to be using illicit drugs that those who were in that age group in the year 2000. Old hippies are still getting high, sometimes with life-threatening consequences. Just because the drug comes from the doctor or pharmacy does not make it safe. More and more drug abusers, particularly seniors, are moving from questionable street drugs to prescription medications as their drug of choice. Two groups of drugs account for the bulk of these drug overdoses, painkillers, and anti-anxiety drugs. Overdoses can be the result of people taking the medication and then before that med has time to act taking more. Certainly, confusion and forgetting what was taken can play a role. Still, the overwhelming conclusion is that many of these drug overdoses deaths in seniors are the result of intentional abuse rather than accidental overdose. Recreational use of these drugs by seniors is the dominant problem. Some of these overdose deaths come from the cumulative effects of multiple drugs take together. One study found that among seniors, those taking eight or more prescribed medications had a 100% chance that two of them were interacting and causing an unintended result. It is recommended that anyone taking medications carry a list of those medications with them and let their treating professions see what they are taking. It also helps to get all your prescriptions filled at one pharmacy. That list should include over the counter and street drugs also. Your doctor and pharmacist need to know about all the drugs you take. Sometimes suicide is the reason for senior drug overdose deaths. It seems possible that some of these reported “accidental” drug overdoses are in fact deliberate. We know that older people have increased rates of suicide attempts. The older a person gets the more the chances that they will attempt suicide. Before we alibi this as somehow related to incurable diseases or right to die issues, we need to also consider the way in which seniors are routinely hidden away and marginalized. Society’s discard of the elderly has resulted in a great national resource that is being wasted as the elderly have progressively less of a role in society. Accepting high rates of addiction, alcoholism, and suicide among the elderly as inevitable diminishes us all. Loss of hope fuels drug use, as well as suicidal thinking at all ages and particularly so as the years, add up. For the record drugs as a way to end one’s life is neither a reliable or painless alternative in many cases. Alcohol is the lubricant that facilities senior drug abuse. A large proportion of drug overdoses at all ages are the direct result of having alcohol in the bloodstream. One study reported that binge drinkers are fifty-five times more likely to attempt suicide. Many drug overdose deaths are facilitated by having alcohol in the bloodstream. V. A. reported that half of their hospital beds are attributable to alcohol-related health problems. Among the seniors, one drink per day may be way too much given the other medications and health-related problems. As we age the percentage of water in our bodies tends to decline. Less water results in a higher blood alcohol content. With age, the blood flow through the liver declines. If you drink the same amount each day, at age 90 your blood alcohol will be 50% higher than it was at 20. The amount of alcohol that used to be tolerable now results in intoxication. Alcohol abuse by seniors often goes unrecognized, the symptoms attributed to dementia. Alcohol abuse makes the symptoms of cognitive decline worse. As little as one drink per day results in an 800% increase in the rate of serious falls. Growing need for senior-specific drug treatment. There is a rapidly growing need for drug treatment for seniors. Treatment programs are having to modify themselves to meet this need. Seniors often abuse different drugs than younger people. They have been abusing drugs longer and have more health problems as a result. They have mobility issues, can’t get into bunk beds or may need the program to be wheelchair or handicap accessible. Abuse of drugs and alcohol by seniors is not something we should accept. If you or someone you know has a problem with substances, please talk with your doctor or seek out professional help. Abusing substances reduces the quality of life at any age and the older we get the more that drug will steal away what is left of your life. Excess Medications – Poor Sleep linked to Dementia and Alzheimer’s? New research is linking a lot of factors with cognitive decline. Came across some interesting research recently about factors that may be increasing people’s risk of cognitive decline. Both excessive medication and sleep problems appear to be risk factors for memory and thinking problems. We are a long way from any final answers when it comes to cognitive decline but some of this research is so convincing that I wanted to share it with you. Poor sleep in the first few hours of the night, the time when memories and thoughts are processed and stored appears to be connected to eventual dementia. Low levels of oxygen also increased this risk. One study does not make for final answers. This study was on only Japanese men and done in Hawaii. 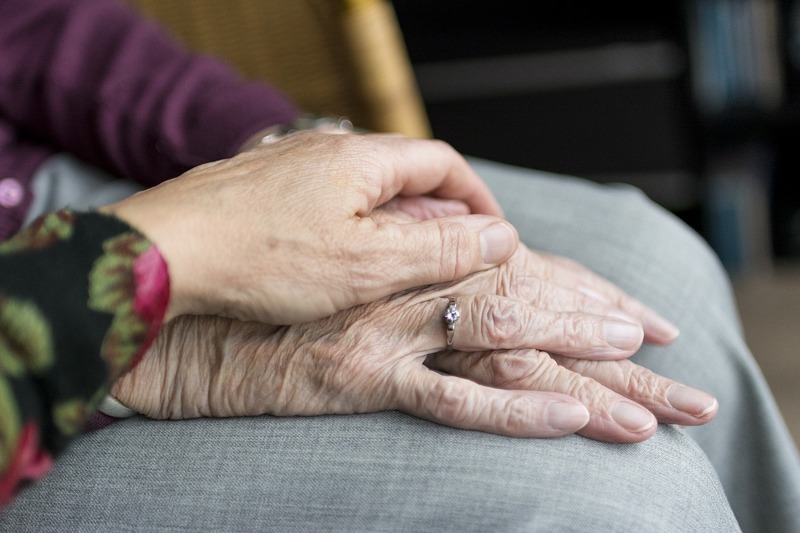 It made the connection between the poor sleep, low oxygen, and dementia but did not find a connection to the subsequent development of Alzheimer’s. The source for the research? Published in Neurology. So is the answer to this poor sleep and cognitive decline to put more people, seniors in particular, on sleep medications? Not really. Turns out that many seniors are being badly over medicated. The older you get the more likely it is that a doctor will prescribe sleep medications or anti-anxiety medications. The increase in anti-anxiety meds is troubling as research has told us that many seniors become less anxious not more so as they age. The National Institute of mental Health published an article titled – Despite Risks, Benzodiazepine Use Highest in Older People. This article reported on research into the prescribing of Benzodiazepines for older adults. The older you get the more likely it is that your doctor will prescribe a benzodiazepine for either poor sleep or anxiety. As you age you are more likely to be prescribed higher doses, for longer periods of time. Most of these Benzodiazepines were prescribed by primary care doctors rather than by psychiatrists. Now here is the problem with that. Taking lots of Benzodiazepines appears to increase your risk of developing Alzheimer’s. The more you take the higher the risk. Take these meds for 180 days or more and your risk of developing Alzheimer’s DOUBLES, or so this one study tells us. The text of this article as published is on PubMed. There is another reason to be concerned about this high use of Benzodiazepines among seniors. That is the interaction between Alcohol and Benzodiazepines. We know from the experiences in the substance abuse treatment field that as we age the body’s ability to remove chemicals from your body declines. Any drug use by the elderly is risky. Just because the drugs are prescription ones does not eliminate the risks. We also know that a large part of drug overdose deaths is the result of the interaction of alcohol and Benzodiazepines. People are tempted to use alcohol to sleep and when this is done to excess the result is poor sleep not improved sleep. Please do not suddenly stop taking prescribed medications based on this blog post or any other online source. If in doubt talk with your doctor. Do all you can to manage your health concerns, get that diabetes or heart condition under control. Lose weight, all those other health things you know you should do. No pill is a substitute for a healthy lifestyle. Consider all those things that we loosely refer to as “sleep hygiene.” There are lifestyle changes that can help you sleep better. Also if emotional problems are impacting your sleep or causing you anxiety or depression, consider counseling or therapy for those mental health issues. You do not need to be “mentally ill” to benefit from counseling. Science has not given us a cure for cognitive decline just yet, that may never happen. It is possible to do everything right and still develop some cognitive loss. But until we have a better answer to this problem do all you can to reduce the risks and get more mileage out of that brain of yours. P. S. There have been a couple of broken links in these posts recently. Who knew that links could be so fragile? If you find a bad link please let me know and I will attempt to fix it. Binge drinking your way to Memory loss, cognitive decline and Alzheimer’s. Once you get past age sixty-five, it doesn’t take much in the way of binge drinking to impair your cognitive abilities. 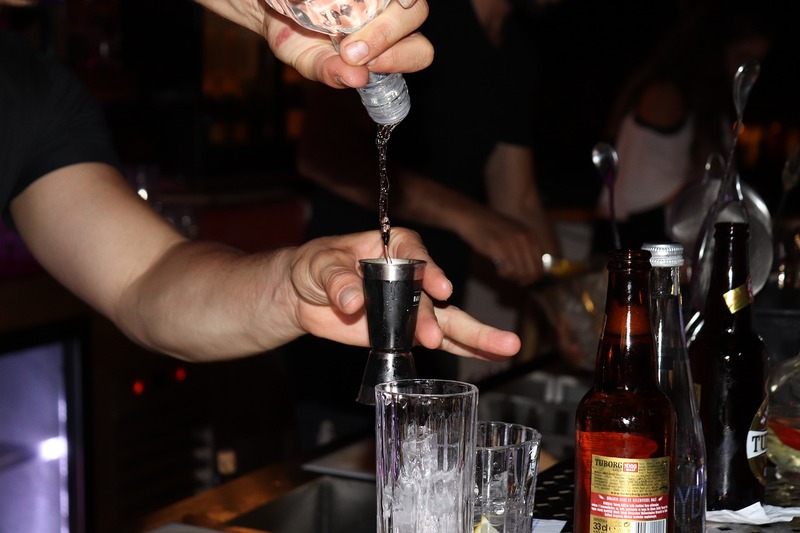 A recent study by Dr. Lang of the University of Exeter reports that the threshold for memory loss as a result of binge drinking is a lot lower in senior citizens than previously thought. Seniors who binge drank TWO times per MONTH were 250% more likely to have memory loss and cognitive decline than those who did not binge drink. The study defined binge drinking in seniors as four or more drinks on one drinking occasion. Given what other studies have found about the declining tolerance of seniors for alcohol, that four drink figure sounds awfully high. See a previous post on binge drinking for more on the effects of substances on the elderly. This study does not draw a conclusion about any connection between binge drinking and either dementia or Alzheimer’s. But the conclusion that even occasional episodes of four drinks by seniors can impair the memory makes me question the safety of these promotions trying to get seniors to drink a little for their heart. This study was presented at the Alzheimer’s Association International Conference. A second study presented at the same conference examined the effects of “moderate” drinking on older women. In this one over 1,300 women age 65 and up were studied for twenty years. The result? Moderate alcohol consumption did not protect memory in older women. We also suspect that binge drinking coupled with prescription medications increases the risk of blackouts in Seniors. The drinking by seniors conclusion? Alcohol consumption by seniors does not protect the memory and even occasional binge drinking, as few as four drinks in one day, maybe less, can result in memory loss for those in the senior community.